Review: Bruce Hornsby And The Noisemakers, 'Rehab Reunion' Thirty years after his breakthrough hit "The Way It Is," the singer-keyboardist once again hits the sweet spot between joyful improv and immaculate songcraft. The Grateful Dead is cool again, although legions of Deadheads will tell you the band never stopped being cool. The latest wave of adulation comes on the heels of last summer's "Fare Thee Well" reunion shows in Chicago, as well as this year's massive Day Of The Dead tribute album, curated by The National. Pianist Bruce Hornsby had a hand in both. He performed with The Dead in Chicago — something he's been doing since 1988, including a stint as an official member of the band from 1990 to '92 — and he contributed a cover of The Dead's "Black Muddy River," a collaboration with Bon Iver ancestor DeYarmond Edison, to Day Of The Dead. Hornsby can jam with the best. His solo material, however, has always had a more structured focus. His first big hit with Bruce Hornsby And The Range, 1986's "The Way It Is," succeeded in squeezing extended piano solos into a pensive, chart-topping pop song. And he's played and/or co-written smashes for everyone from Sheena Easton to Don Henley to Ricky Skaggs. 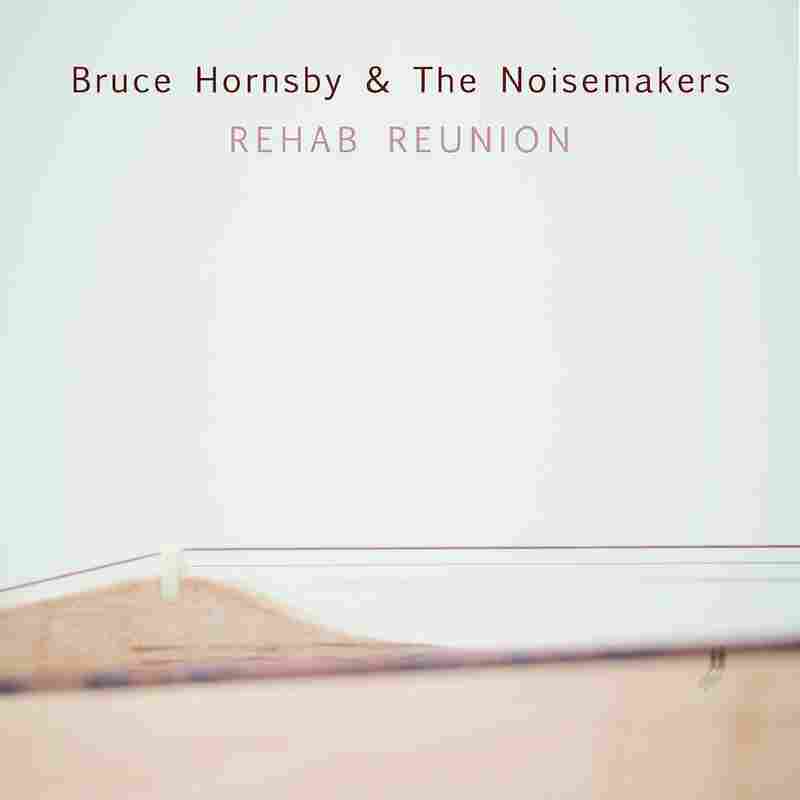 On Rehab Reunion, his latest album with his current band Bruce Hornsby And The Noisemakers, the singer-keyboardist once again hits the sweet spot between joyful improv and immaculate songcraft. What makes Rehab Reunion stand out from prior Hornsby releases is his weapon of choice; this time around, he's ditched the ivories in favor of a far folksier instrument, the dulcimer. In the album's title track, Hornsby's drift toward country music over the past couple decades is evident; there's a twang in the Virginian's voice as he and his band — Gibb Droll on guitar, J.V. Collier on bass, J.T. Thomas on organ, Ross Holmes on fiddle and mandolin, and Sonny Emory on washboard, cajon and drums — pick and stomp through a rootsy, lighthearted account of sobriety and the lack thereof. That playful vibe permeates "Tropical Cashmere Sweater" and "M.I.A. In M.I.A.M.I.," the latter a humorous, anecdote-filled account of Hornsby's tenure at the University of Miami in the '70s. Other tracks, like "Soon Enough" and "Valley Road," take on the more contemplative tone Hornsby perfected way back when with "The Way It Is." Two high-profile guest stars grace Rehab Reunion with their presence. In "Over The Rise," Bon Iver frontman Justin Vernon lends his ethereal grit to a lulling drone of Appalachian folk. And the legendary soul singer Mavis Staples brings gospel fervor to "Celestial Railroad," a soaring duet that Hornsby originally wrote in the early '90s, hoping The Staple Singers might record it. It took a quarter of a century, but it finally happened. Then again, Hornsby is by all accounts a patient artist, one whose earthy, unassuming music perennially finds a new audience. On Rehab Reunion, he's never sounded more relevant.